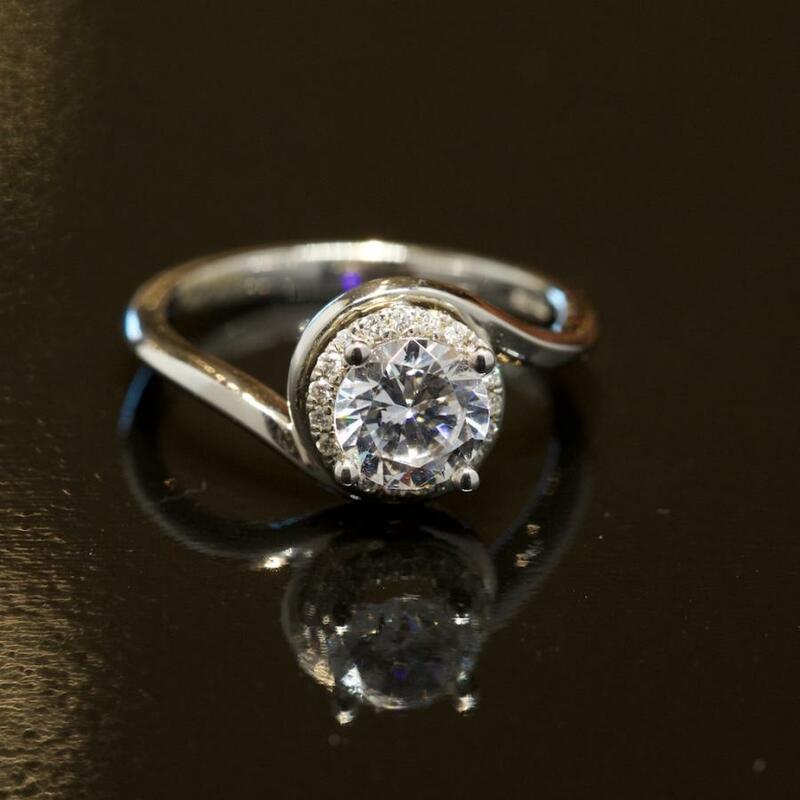 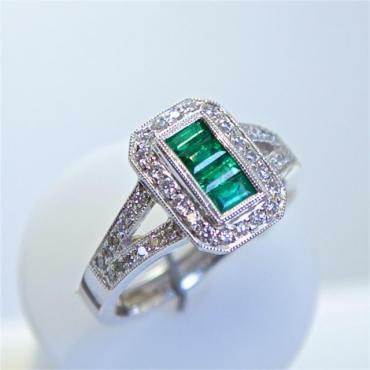 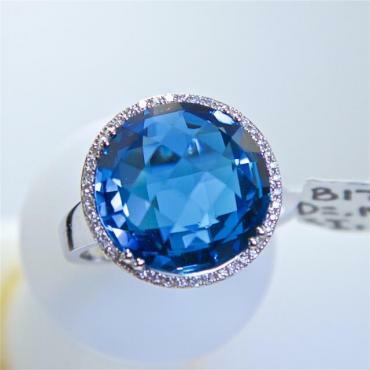 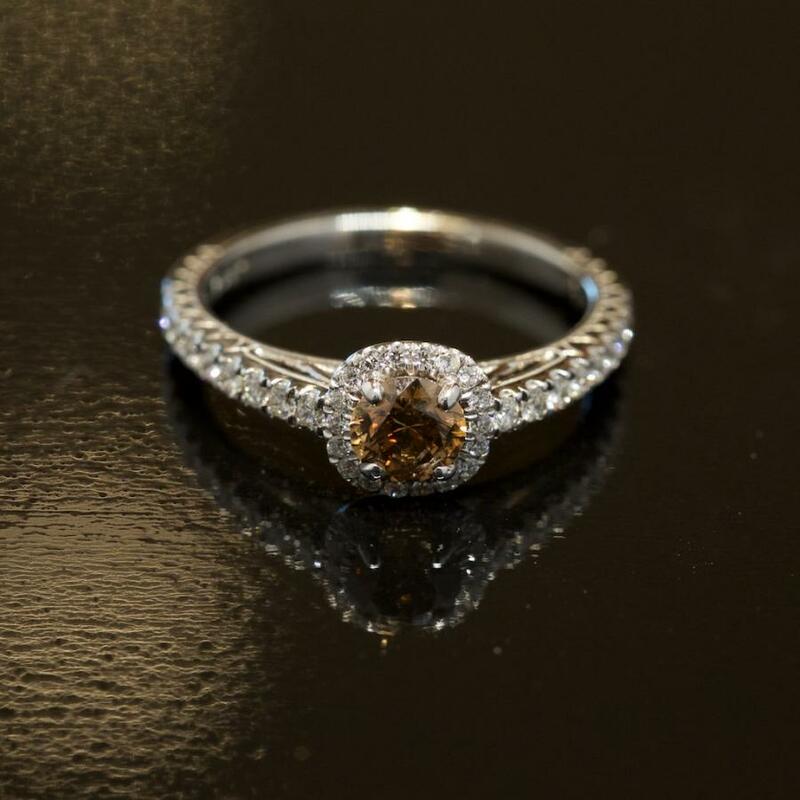 Halo settings feature a center gemstone completely encircled by smaller accent diamonds for a dazzling look. 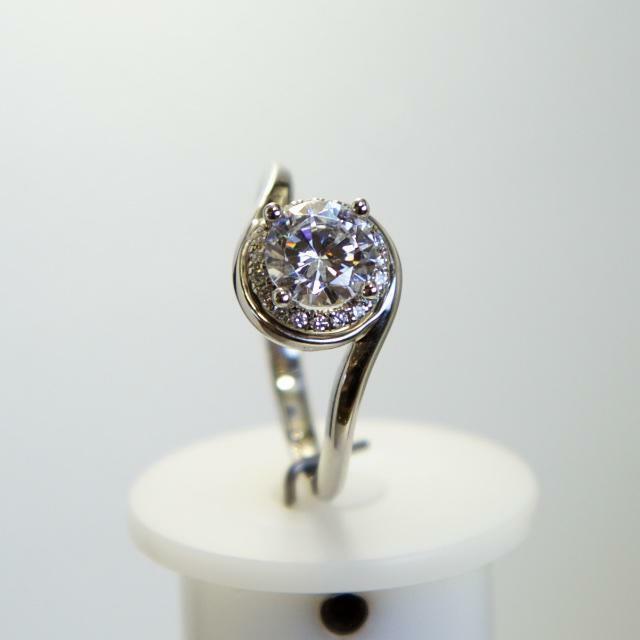 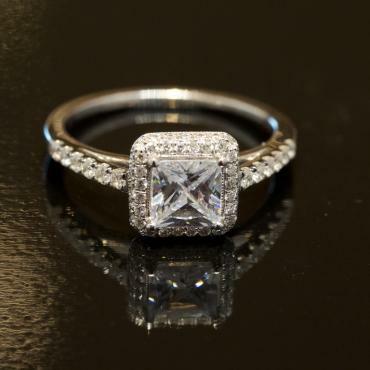 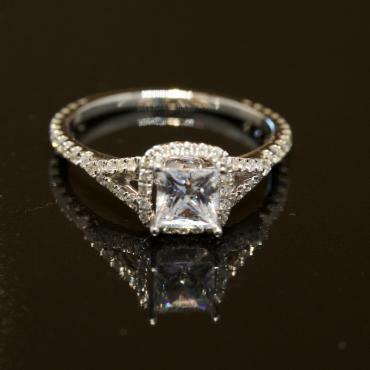 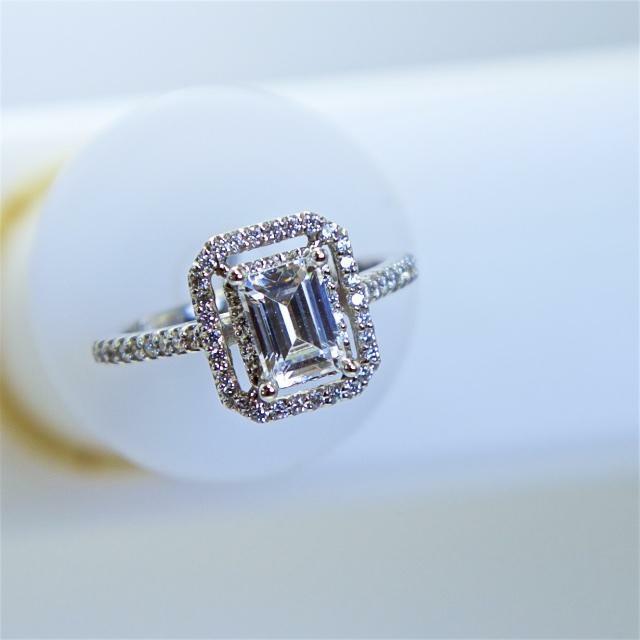 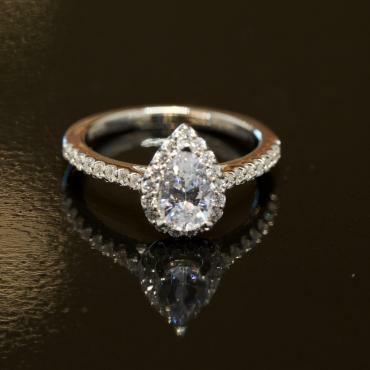 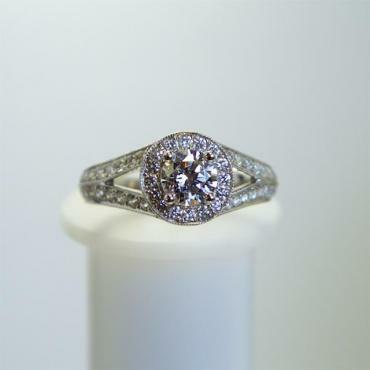 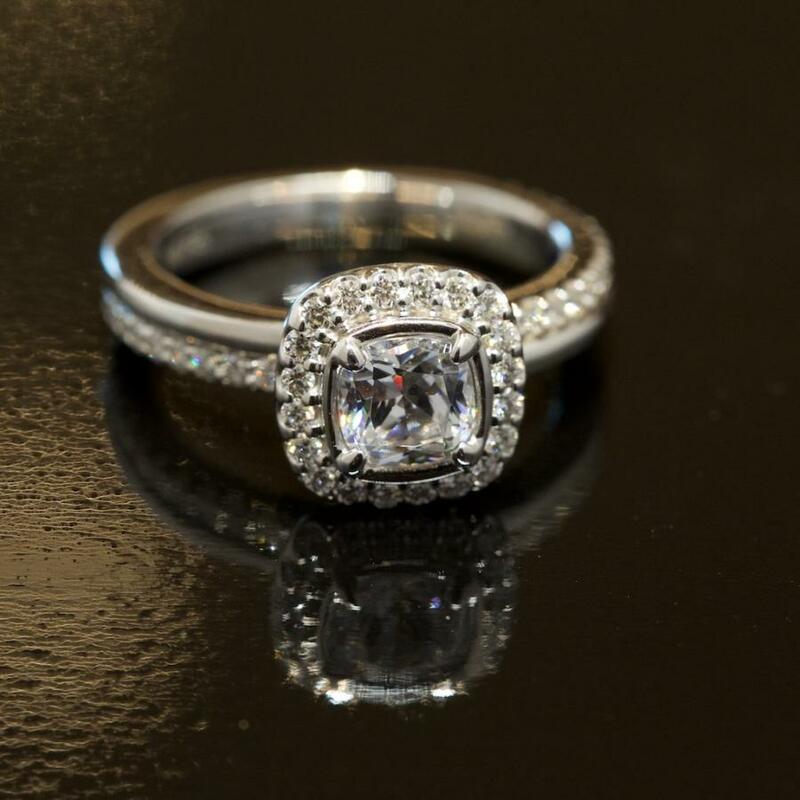 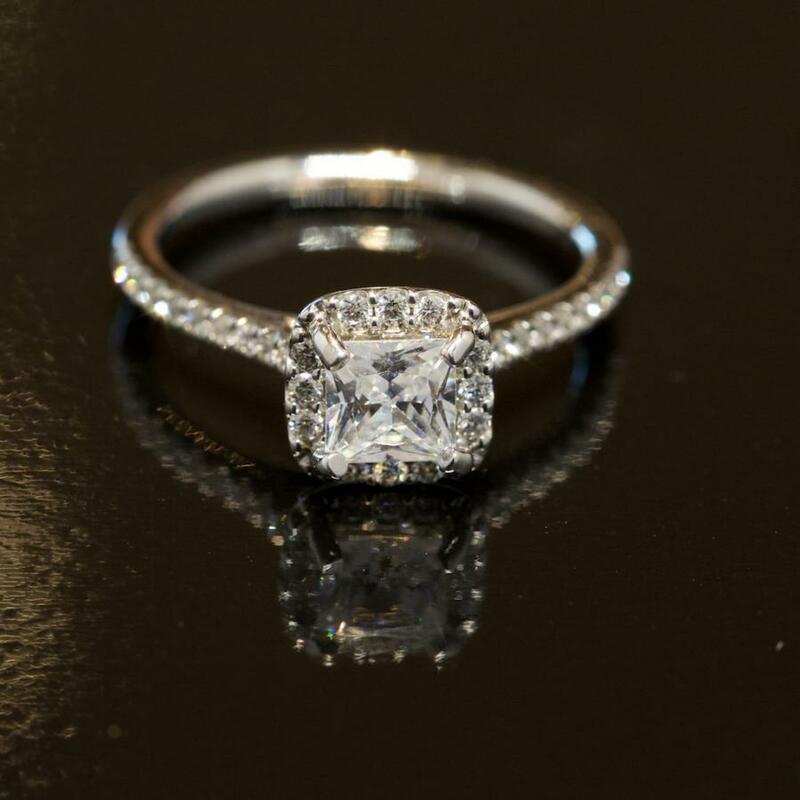 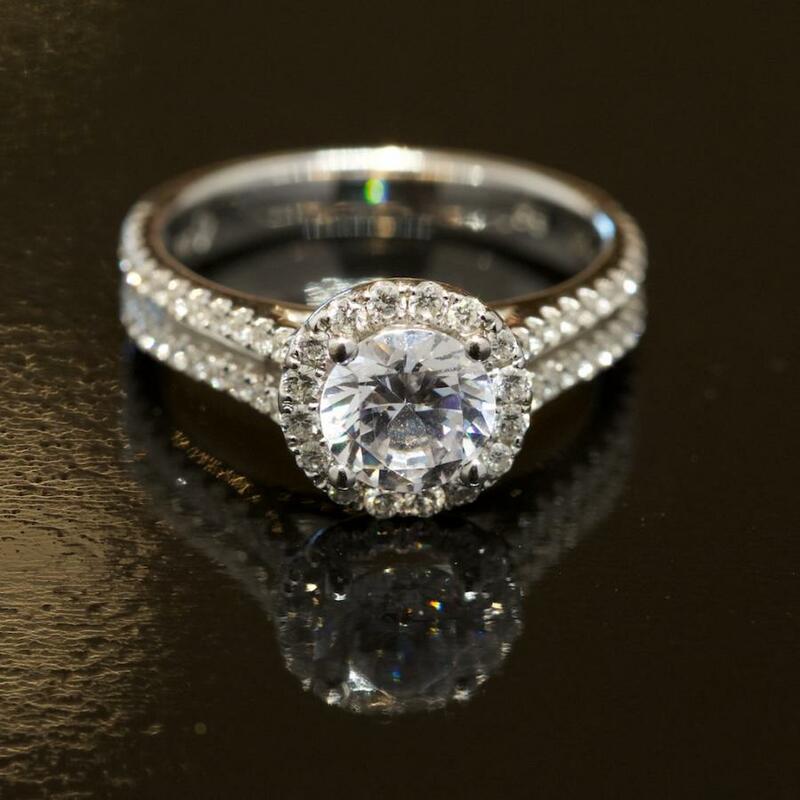 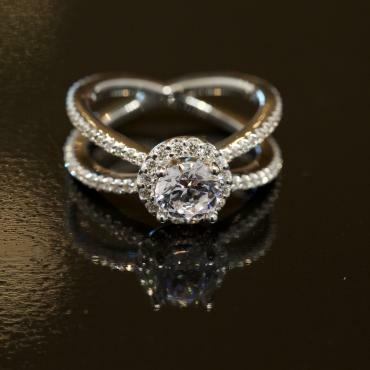 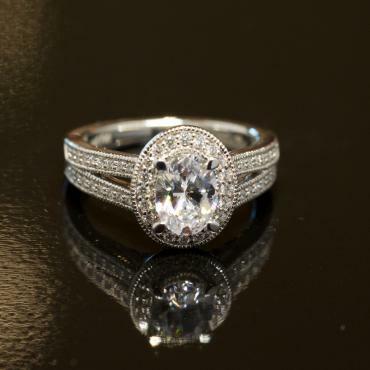 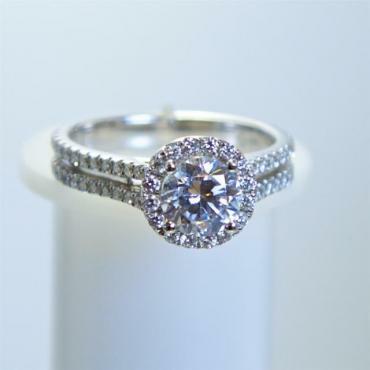 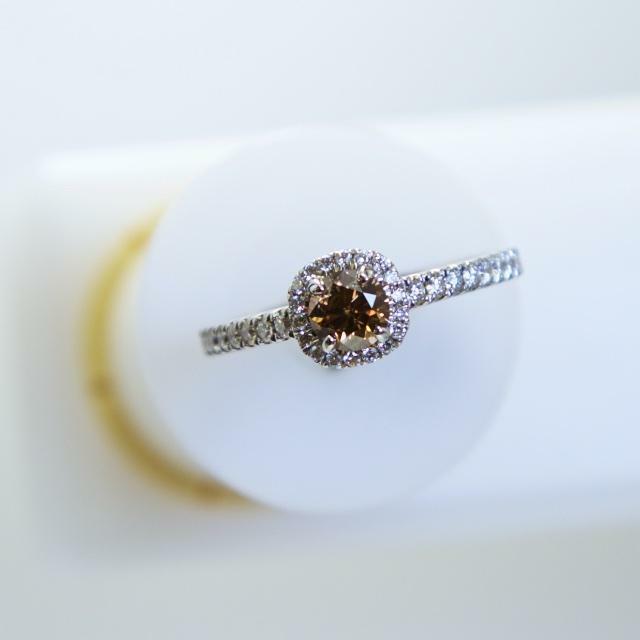 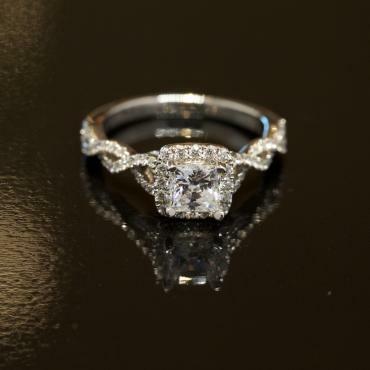 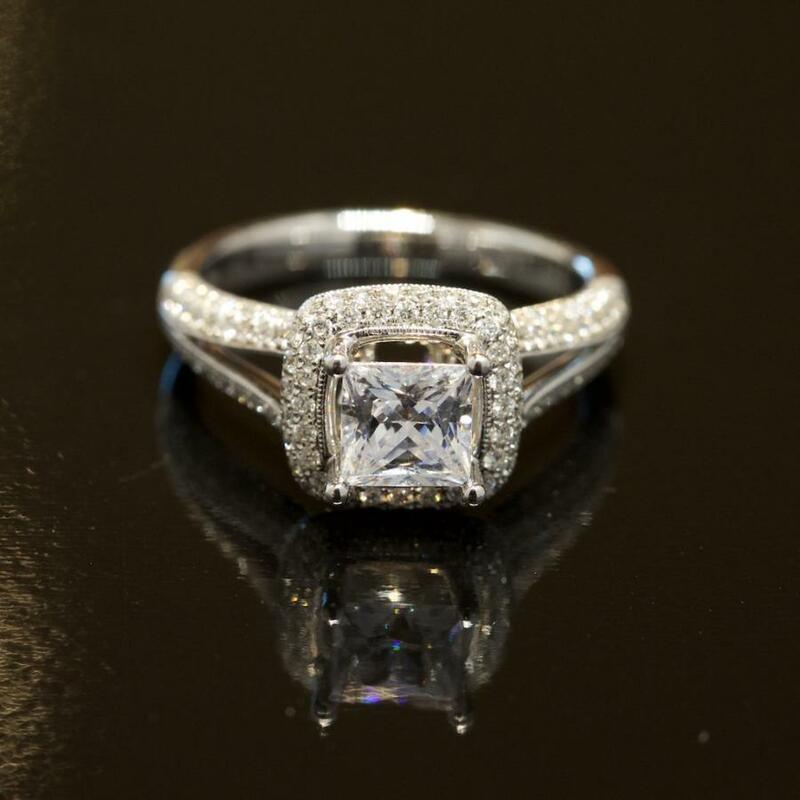 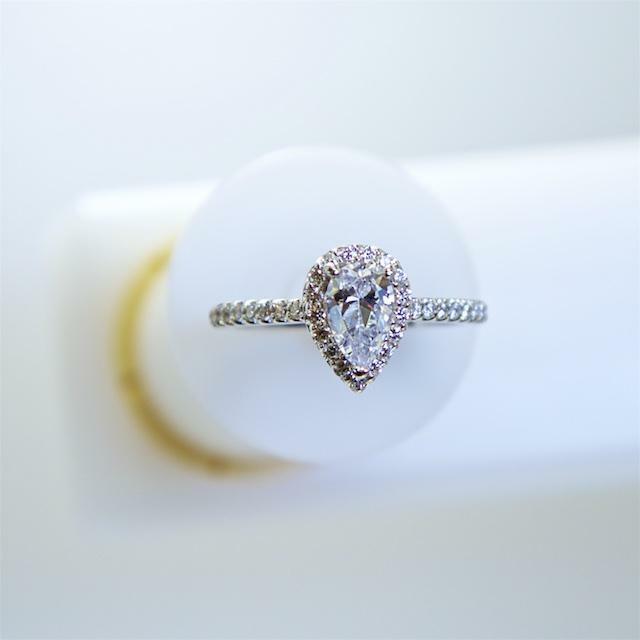 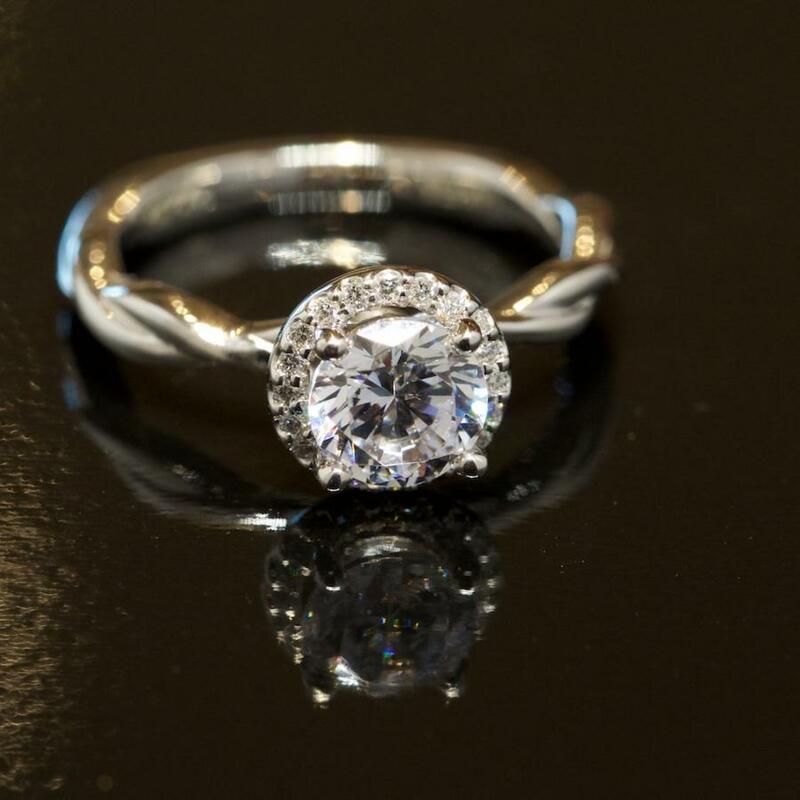 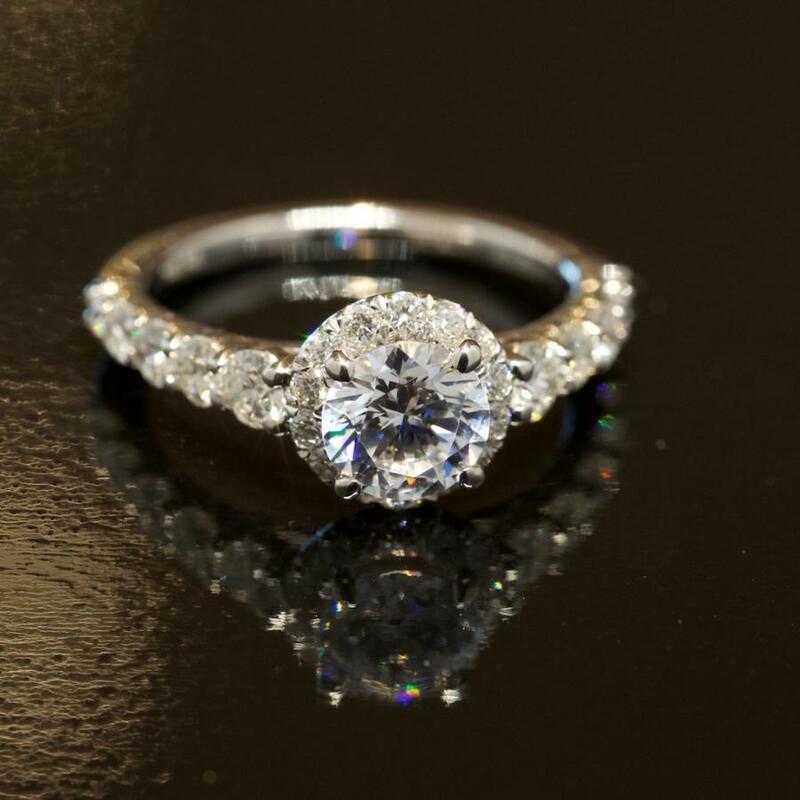 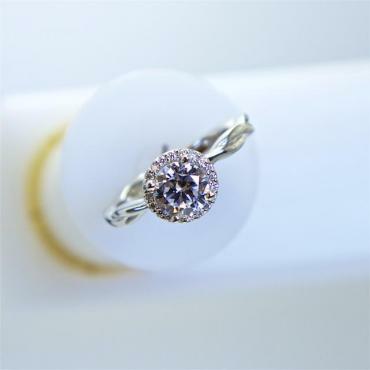 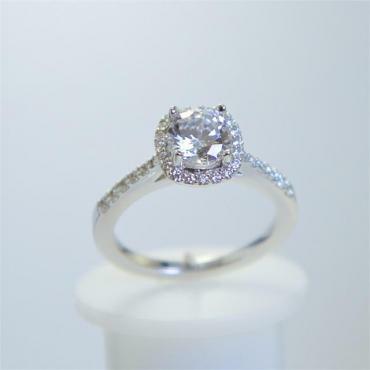 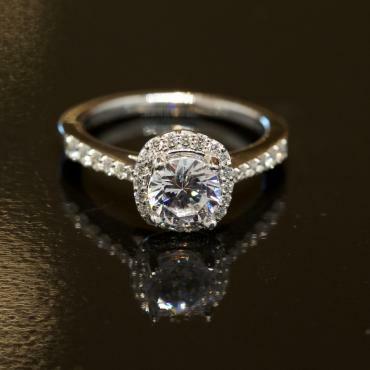 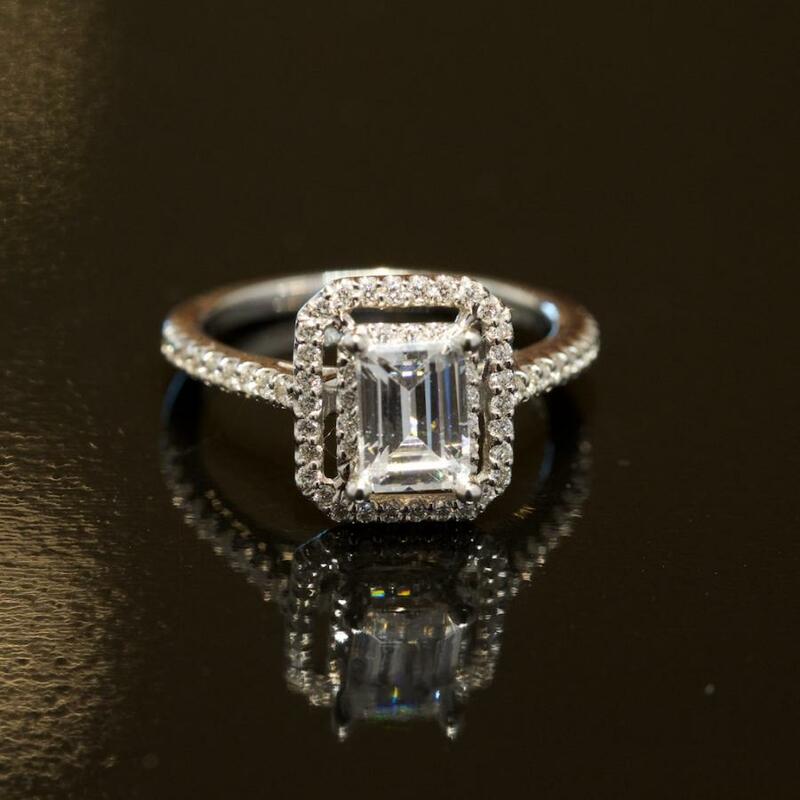 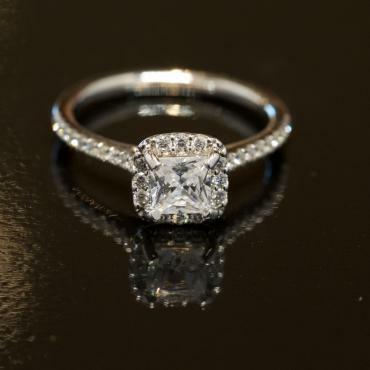 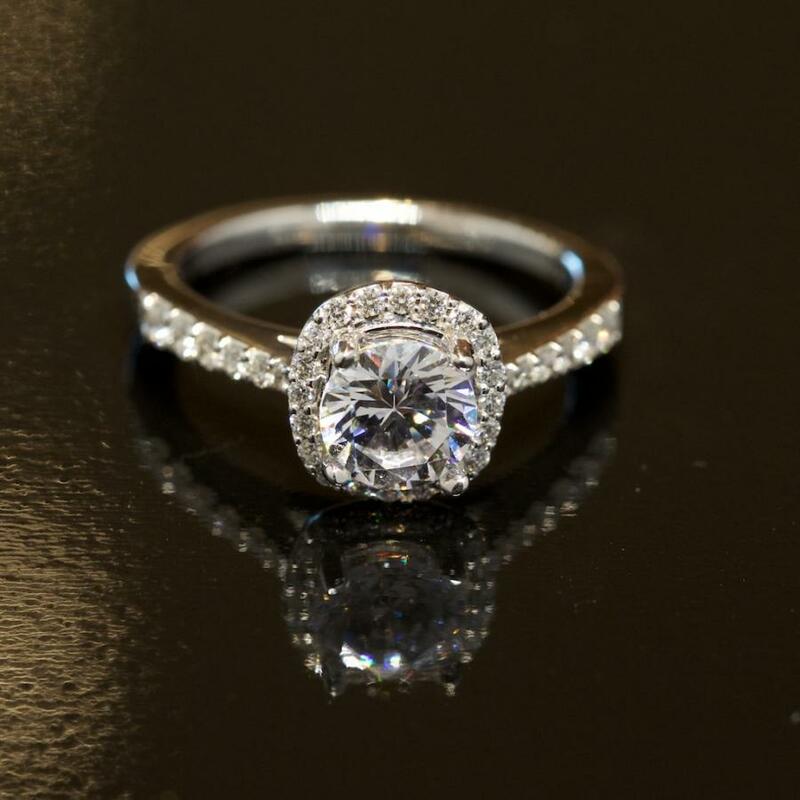 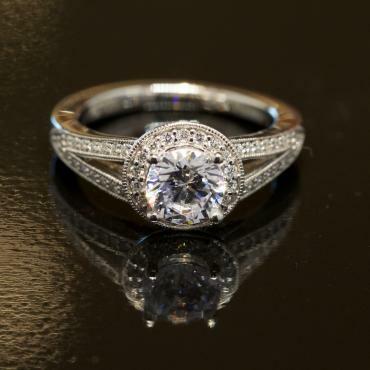 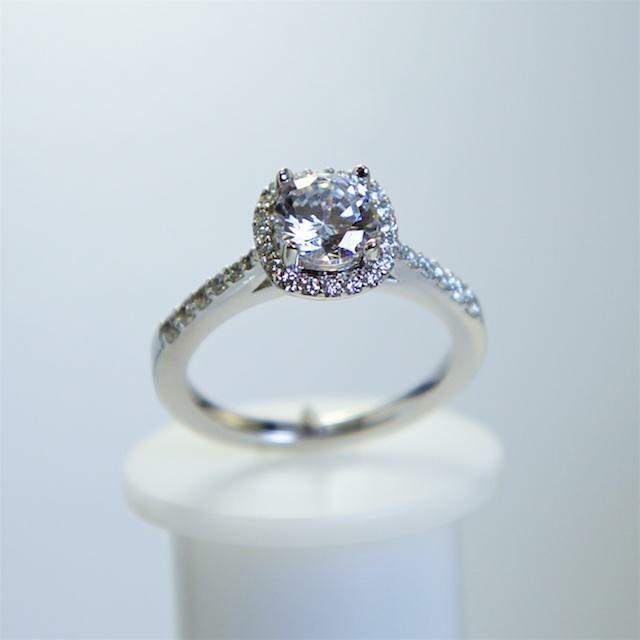 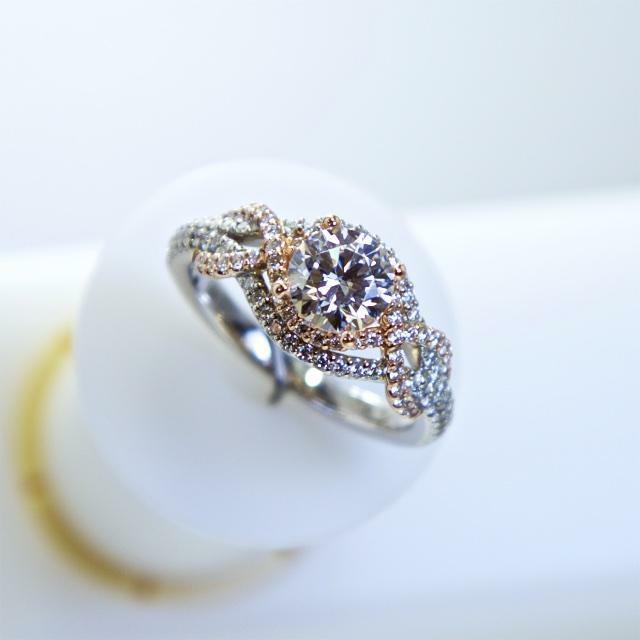 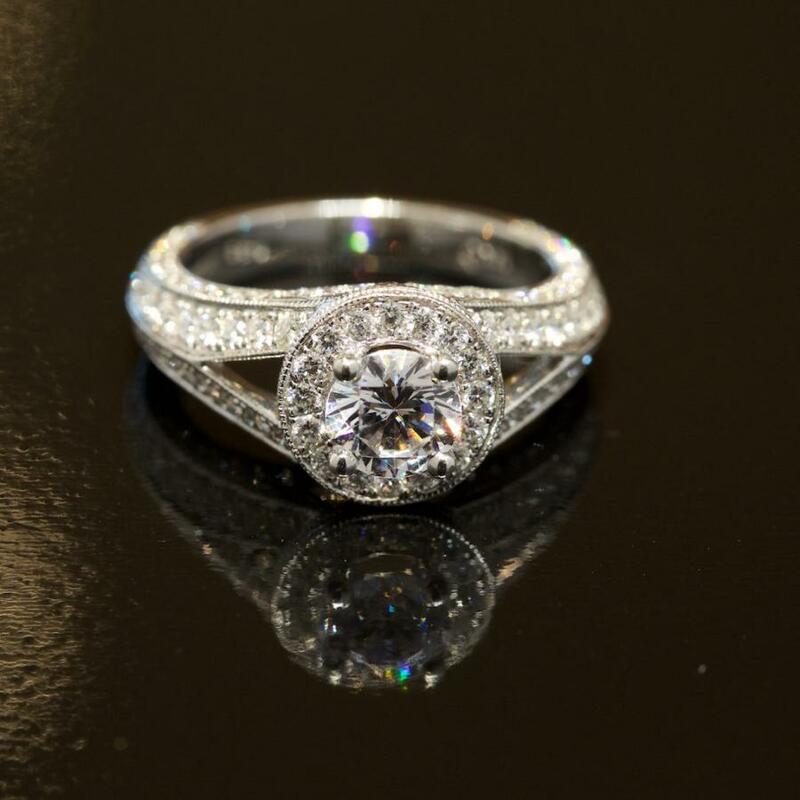 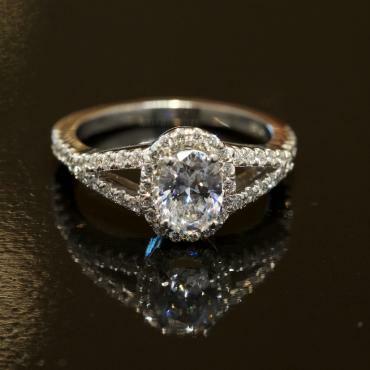 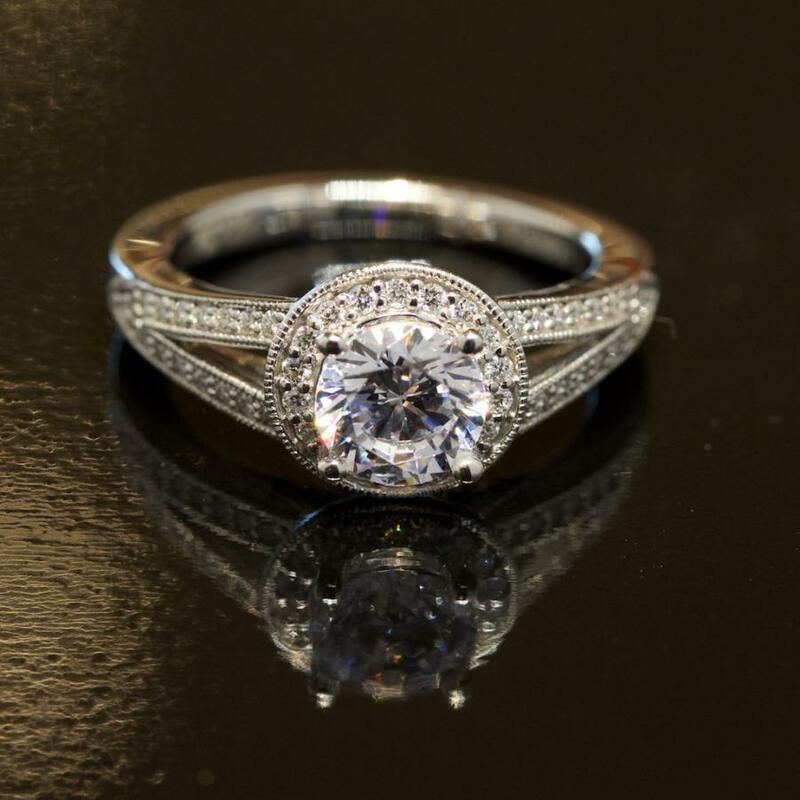 Halo designs featuring traditional round and cushion shaped diamonds are especially sought after, perhaps because of their romantic vintage-inspired look, or because of the way a halo of accent diamonds makes a center diamond appear larger. Couples are also increasingly drawn to halos around compass point settings, double halos, and halos with floral details.